Welcome to the Eco-Chemistry lab page! In order to understand the type of research I do, it is important to know a bit about my background. I have a background in ecology, hydrology/hydraulics, and environmental chemistry/engineering. While these fields seem disparate, environmental problems do not fit nicely into discrete boxes or individual packages. There are many problems that simply cannot be solved with the tools provided by a single discipline, an each provides different tools and ways of thinking about ecosystem health. As an engineer, I find it incredibly useful to draw on to tools used in ecology and chemistry, and vice versa. Therefore, my interests focus on understanding how ecosystem health is driven by complex interactions between biological, chemical, and physical processes. Often, synergistic/antagonistic interactions among environmental variables can mask the true relationship between variables. Without understanding these complex interactions, we can misinterpret our data, which can lead to poor management decisions or designs. In laboratory experiments, there is a high degree of variable control, but results from laboratory experiments can not always be extrapolated to better understand the environment. In order to understand what is happening in the environment, we must embrace environmental heterogeneity and utilize sophisticated statistical models that are capable of teasing apart variable interactions. I often use machine learning tools to understand complex environmental problems. 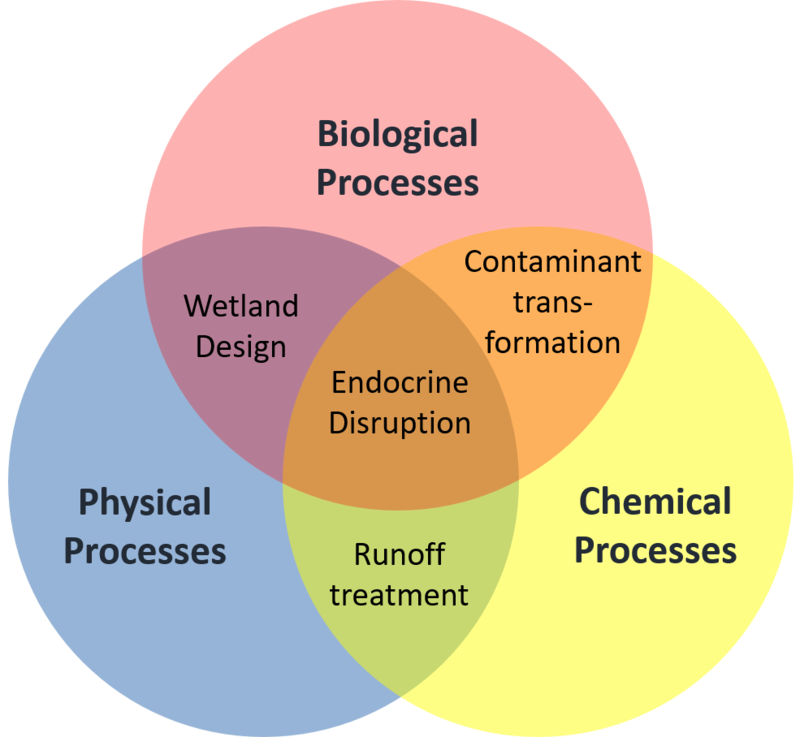 For example, I am currently pursuing projects centered on the chemical compounds driving endocrine disruption in surface waters, how climate change affects the geochemical cycling of trace elements, understanding how landscape features drive increases in stream temperature. I am always looking for talented and enthusiastic students. If you are interested in broad scale environmental problems, please send me an email with a brief description of yourself and a CV. © 2019 EcoChem, all rights reserved.